The Infant & Toddler Forum (ITF) is a social responsibility (SR) programme supported by an educational grant from Danone Baby Nutrition (DBN). 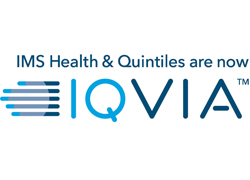 The ITF’s independent work to inspire healthier food choices and to educate healthcare professionals (HCPs) about infant and toddler feeding and nutrition is strategically aligned with the company’s core business. The ITF’s most recent work is a long-term behaviour change programme, Ten Steps for Healthy Toddlers, which aims to see the intervention adopted and implemented widely by childcare professionals via strategic partnerships. 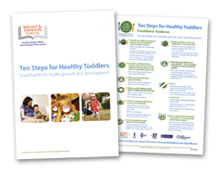 The 2011-2012 programme saw the ITF increase its reach with the rollout of the Ten Steps for Healthy Toddlers to nursery and day care settings. The Pre-school Learning Alliance (PLA) – a leading educational charity and the largest voluntary sector provider of quality affordable childcare and education in England – introduced the Ten Steps into its 117 registered childcare settings as best practice guidance in 2011. Pre- and post-roll-out data showed setting managers reported increased staff confidence around discussing nutrition with parents and described mealtimes as calmer experiences. The PLA now promotes the Ten Steps, and associated ITF resources, to its 14,000 member settings, and the 800,000 parents and families that access its services across the country. A simple, highly credible and well executed programme with clear focus on what they were setting out to achieve that was great to see. They achieved excellent customer feedback and good outcomes.